The first day of April is typically marked by high jinx, but the 2018 fourth-quarter performance of the Cambria Core Equity ETF (NYSEArca: CCOR) is anything but a joke. While the rest of the markets were awash in a violent cycle of volatility, CCOR churned out an astounding 5.59 percent gain. In fact, all the major indexes suggest that any fund would be hard-pressed to have earned a return during the final quarter of last year. The Dow Jones Industrial Average fell 5.6 percent, while the S&P 500 was down 6.2 percent and the Nasdaq Composite declined 4 percent. All in all, 2018 marked the worst year for stocks since 2008 and only the second year the Dow and S&P 500 fell in the past decade. In 2019, investors are no doubt reassessing their strategies for how to distribute their capital through the rest of the year. So while a major index like the S&P 500 was down 13.52 percent, how was it that CCOR thrived? With a prime focus on capital appreciation and preservation, CCOR also befriends volatility using a combination of multiple strategies in an actively-managed ETF wrapper. CCOR intends to invest the remaining value of its net assets in options where pricing provides favorable risk/reward models and where gains can be attained independent of the direction of the broader U.S. equity market. 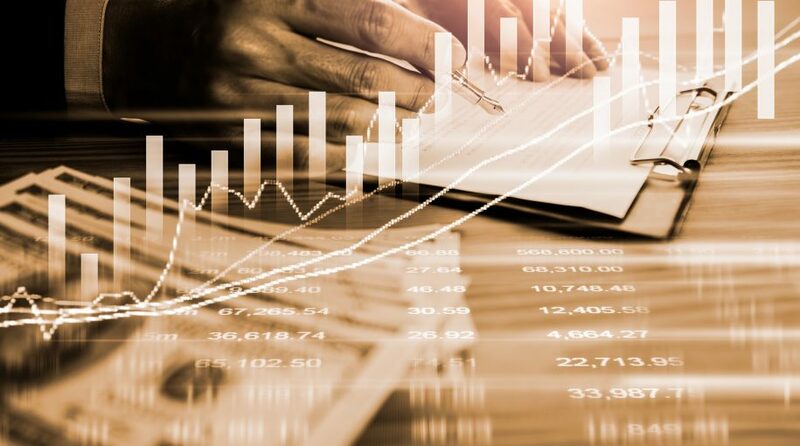 The fund uses proprietary models and analysis of historical portfolio profit and loss information to identify favorable option trading opportunities, including favorable call and put option spreads. Of course, that ability to turn volatility into returns was evident in that tumultuous fourth quarter to forget. “As the market dropped nearly 20% in the 4th quarter, our longer term puts helped buffer the move down, while our shorter term options were able to take advantage of the volatility and create a positive return over the quarter,” said Pursell. The Cambria Core Equity ETF invests primarily in U.S. equities, specifically focusing on companies with the highest quality across all industries and sectors. In order to be included in the fund, these companies must demonstrate a penchant for long-term total returns as a result of their ability to grow earnings and their willingness to increase dividends over time. Under normal circumstances, CCOR also sells exchange-traded index put and call options in order to reduce the volatility while at the same time, increase return. Additionally, the CCOR strategy also involves buying index put options, which can protect the fund from a sharp downturn that may occur in the short term. Correlation when the markets experience an uptick and uncorrelated when the markets head south means that investors can realize returns as well as have protection component built in. In a market landscape where being tactile is imperative, CCOR is designed to benefit all investors irrespective of net worth. With the transparency and liquidity of an ETF wrapper that incorporates multiple hedge fund strategies that were once only available to only institutional investors or those of high net worth, CCOR opens up the realm of possible returns for all investors. “Regardless of whether an investor allocates capital from their equity bucket, fixed income bucket, a combination of those, or even if they have a dedicated alternatives bucket, an allocation made to the fund has the tendency to pull an investor’s efficient frontier up (meaning increasing the portfolio returns) and to the left (meaning decreasing the risk, via decreased standard deviation or volatility experienced),” said Pursell. With an expense ratio of 1.05 percent, investing in CCOR comes at a paltry cost compared to a hedge fund that would traditionally charge 2 percent for fund management and 20 percent of profits earned–the classic two and twenty compensation structure. This is certainly not something to laugh at given CCOR’s track record of proven performance and the ability to turn down the volume on volatility.